The remains of former President George Herbert Walker Bush will return to Washington in the most dramatic and distinguished fashion possible, occupying the plane that normally serves as Air Force One. 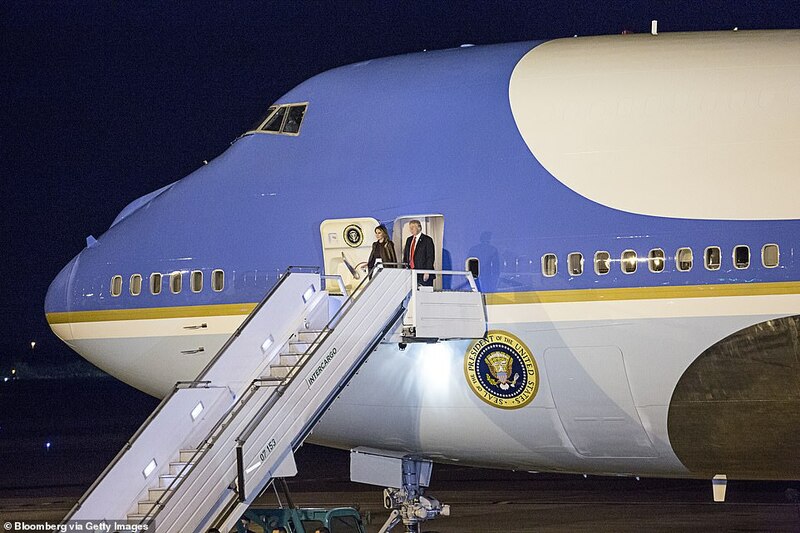 President Donald Trump told reporters of the plan aboard the aircraft as they returned from the G20 summit in Buenos Aires, Argentina. ‘So what we’re doing with the plane – we land, and then they come in, and these are great people that run these aircraft. They are unbelievable,’ he said. The aircraft won’t use the callsign ‘Air Force One’ on Sunday since the current president won’t be on board. The U.S. Air Force will choose another moniker for the flight. Trump’s assigned aircraft, a modified Boeing 747, isn’t the same one that was in service while George H.W. Bush was president. Bush used the same customized 707 that had functioned as Air Force Once since Richard Nixon was president. Nixon, too, saw his last flight’s callsign changed. Lyndon Johnson was sworn in as Nixon jetted above Missouri on his way home to California, after he resigned the presidency. The pilot immediately dropped Air Force One form the flight’s name, calling the plane ‘SAM 27000,’ the regular military classification for the aircraft. 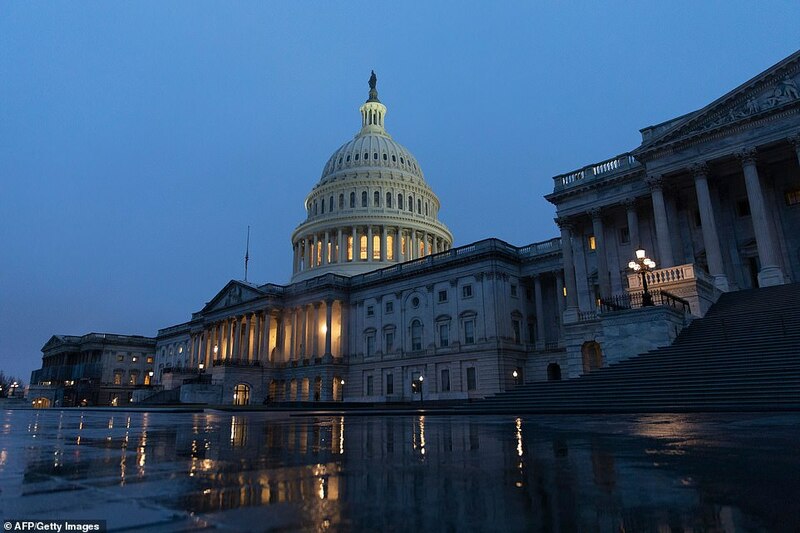 Like all presidents, Bush will be honored with a state funeral, an elaborate week-long ceremony that includes lying in state in the rotunda of the U.S. Capitol. His remains will arrive at the Capitol building at 5:00 pm EST on Monday. The public will be welcome to pay their respects from 7:30 p.m. EST until 7:00 a.m. on Wednesday. At the Capitol, Bush’s remains will lie on a wooden structure that was constructed for Abraham Lincoln to lie in state after his assassination in 1865. The casket will be guarded at each of its corners by a serviceperson, one from each of the branches of the armed forces. 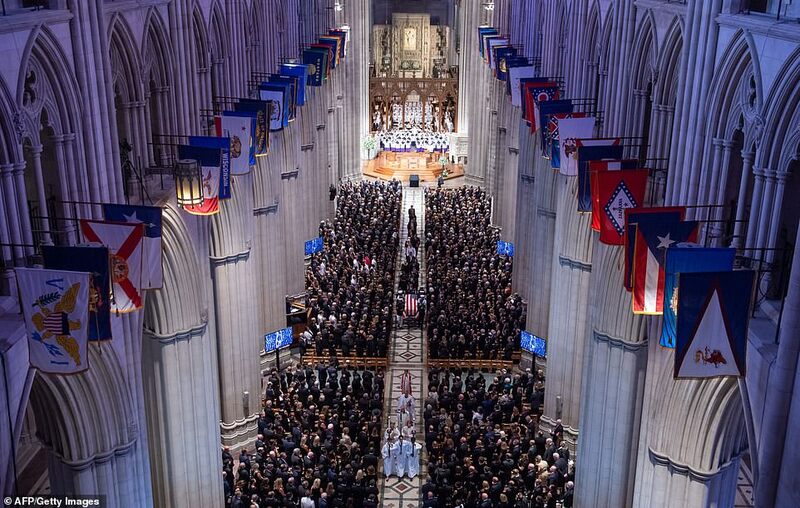 The former funeral will take place at the National Cathedral in Washington, the White House announced Saturday. Trump and first lady Melania will attend. The 41st President of the United States passed away Friday at the age of 94, surrounded by family members at his home in Houston, Texas. 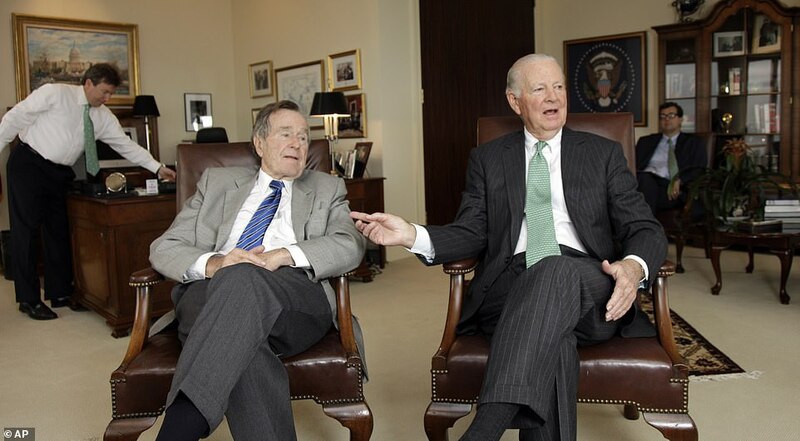 James A Baker III, both Bush’s friend and former secretary of state, told The New York Times that Bush had been fading over the last week – spending most of his time sleeping. He was not eating and never got out of bed. Baker said that although the former president had defied death multiple times over the years, struggling with a form of Parkinson’s and being hospitalized with pneumonia several times in recent months, this time felt different. 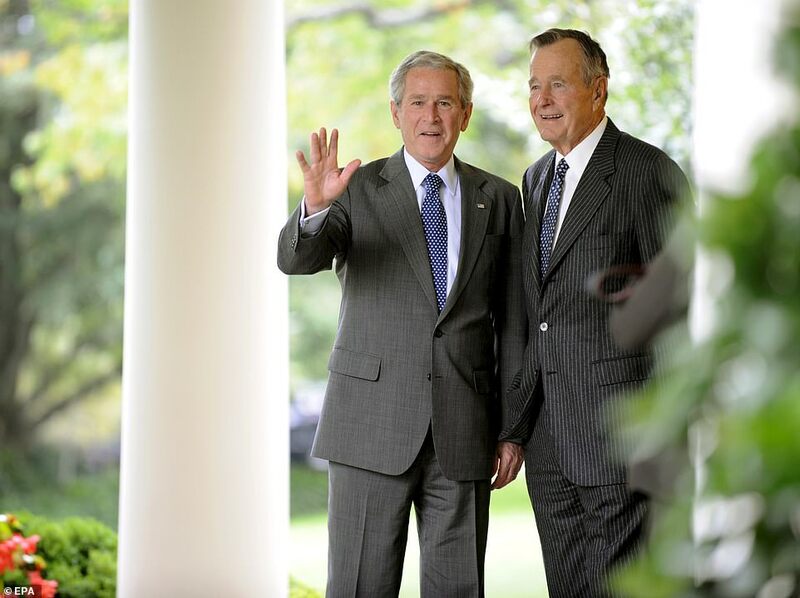 Baker stopped by the Bush home on Friday to check on his old friend and say goodbye. 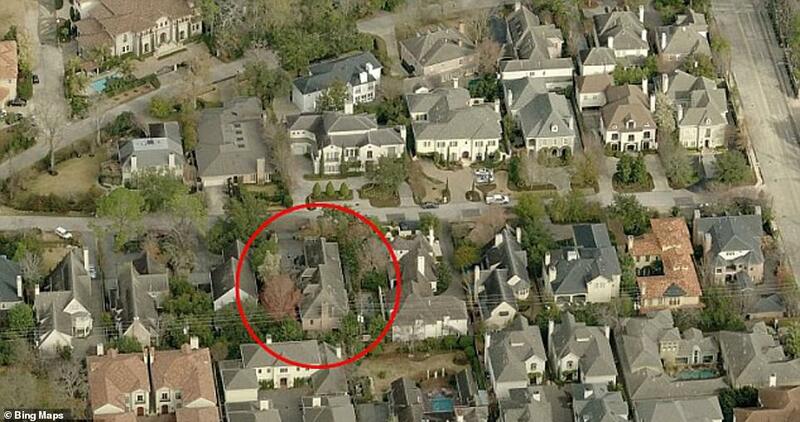 Baker’s wife Susan was also there, along with Jean Becker, the former president’s longtime chief of staff; and the Rev Dr. Russell Jones Levenson Jr, rector of St Martin’s Episcopal Church in Houston, and some nurses and doctors. 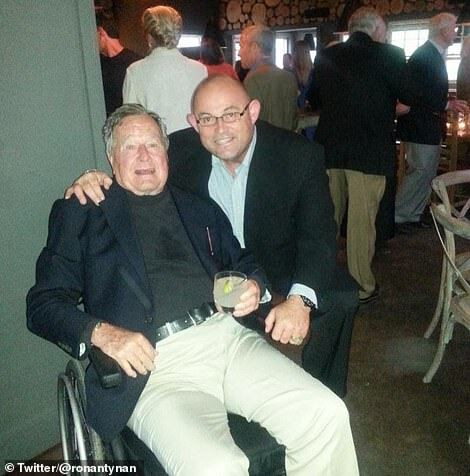 Acclaimed Irish tenor Ronan Tynan also asked to pay a visit, during which he sang ‘Silent Night’ while the former president mouthed the words. The singer also performed a Gaelic song. ‘Everybody thought this is going to be a great day and he’s back and he’s bounced back again,’ Baker told the Times. On Thursday, Baker left at around 9:15 a.m. but returned in the evening as he and his wife were on their way to dinner. ‘He was sitting up in bed and was able to converse with people,’ Baker said. Baker held his dear friend’s hand and rubbed his feet while prayers were said and children were called to tell their father goodbye. The other children were called so they could tell their father goodbye. 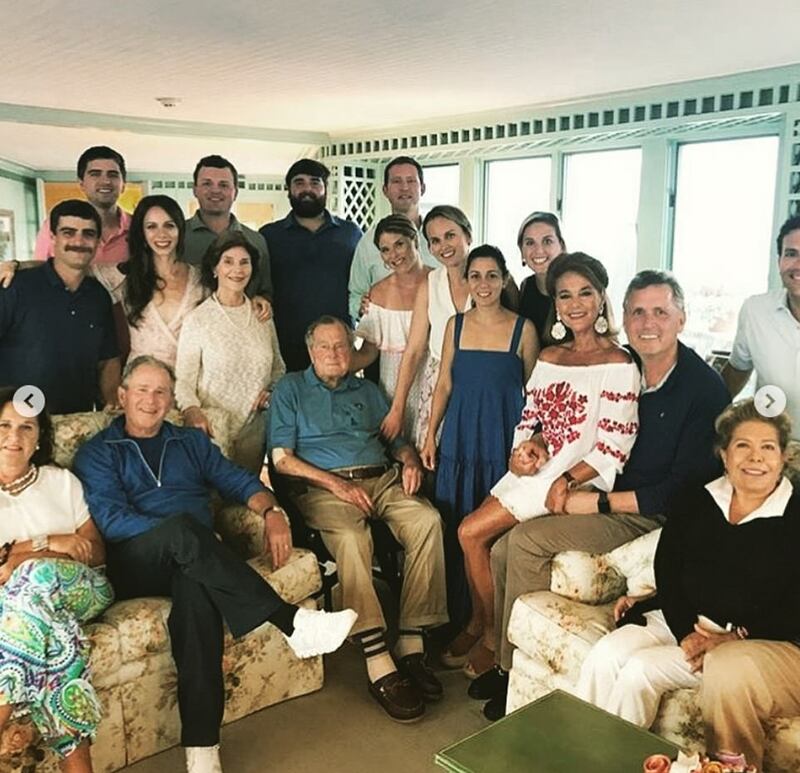 His final conversation was a speakerphone call with his son, George W. Bush, who praised him as a ‘wonderful dad’ and told him that he loved him. 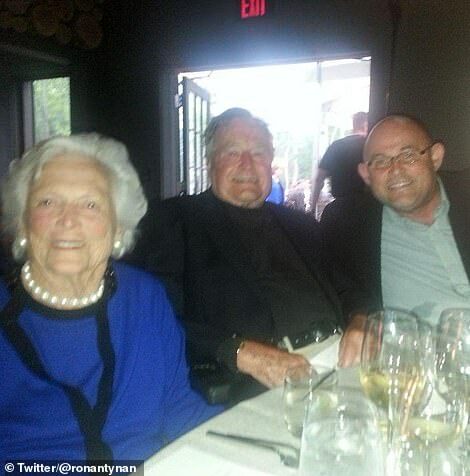 ‘I love you, too,’ the elder George Bush said – his last words on earth. 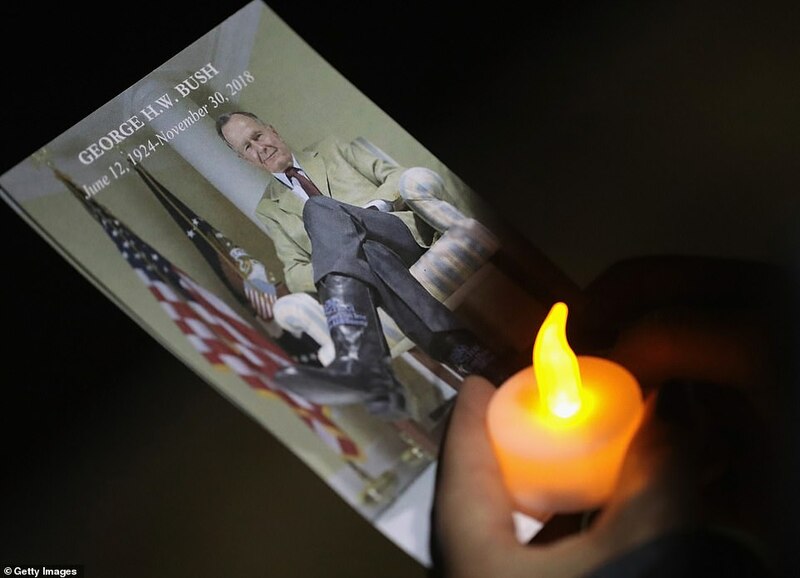 In the room at the time of Bush’s death at 10:10 p.m. CST were his son Neil Bush and his wife Maria, along with grandchildren Pierce and Marshall Bush. Former President Barack Obama visited him on Tuesday while in town for an event with Baker, but Bush struggled to get out of bed. By Thursday, he had stopped eating and was losing weight but insisted on not going back to the hospital – a place with which he’d become all too familiar. 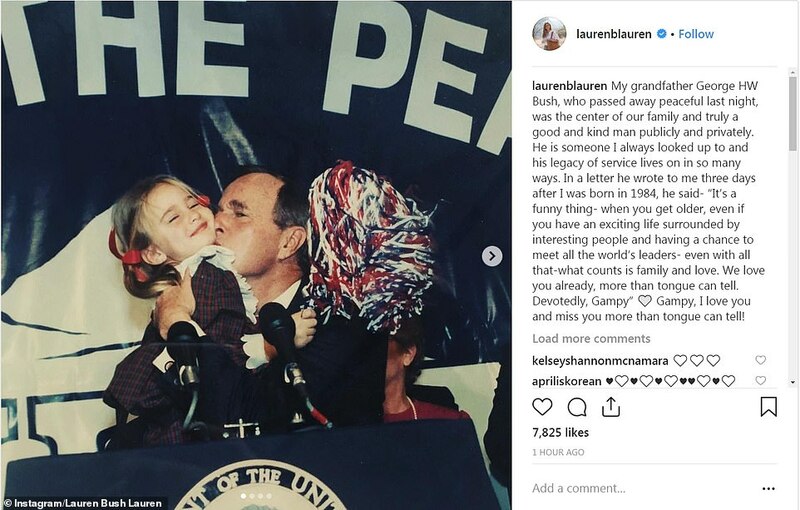 Granddaughter Jenna Bush Hager shared a pair of touching tributes to her beloved grandfather on Saturday morning, posting two joyful photos of them together on Instagram with the caption: ‘Waking up missing this giant of a man who gave me everything. 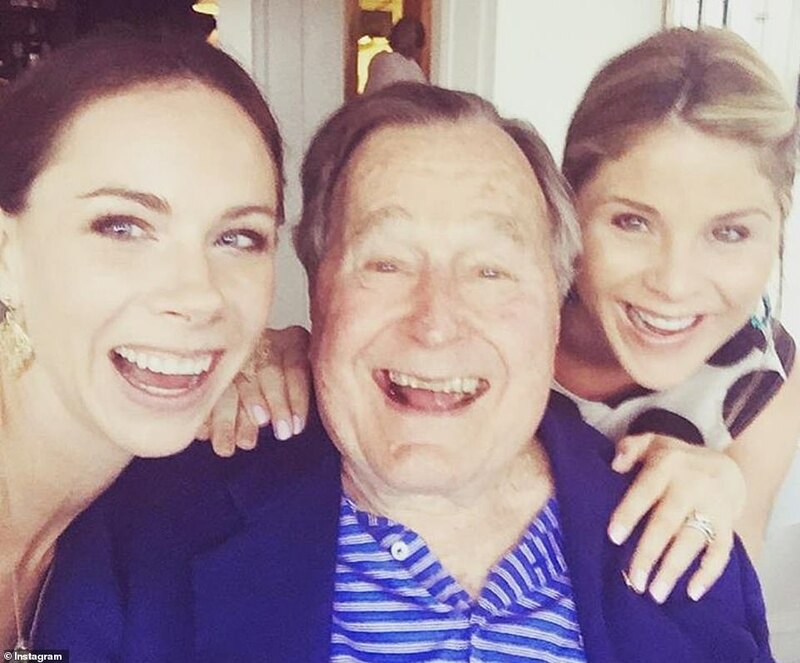 One photo shows Jenna and her twin Barbara, both 37, flanking their grandfather as they all wear giant grins on their faces. 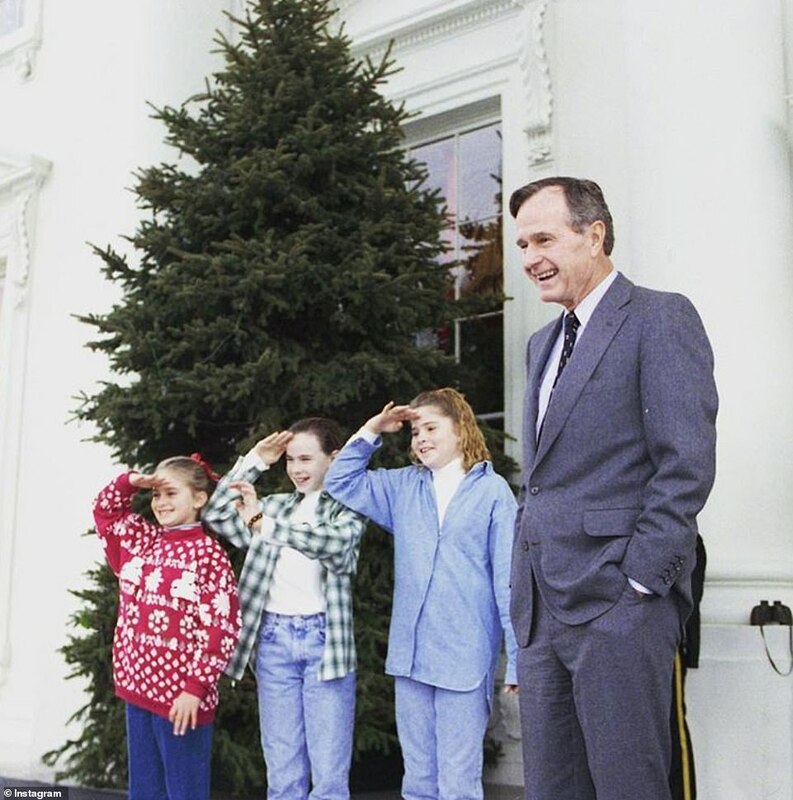 The second photo shows a young Jenna standing beside her cousins saluting a Christmas tree as the then-president smiles alongside them. 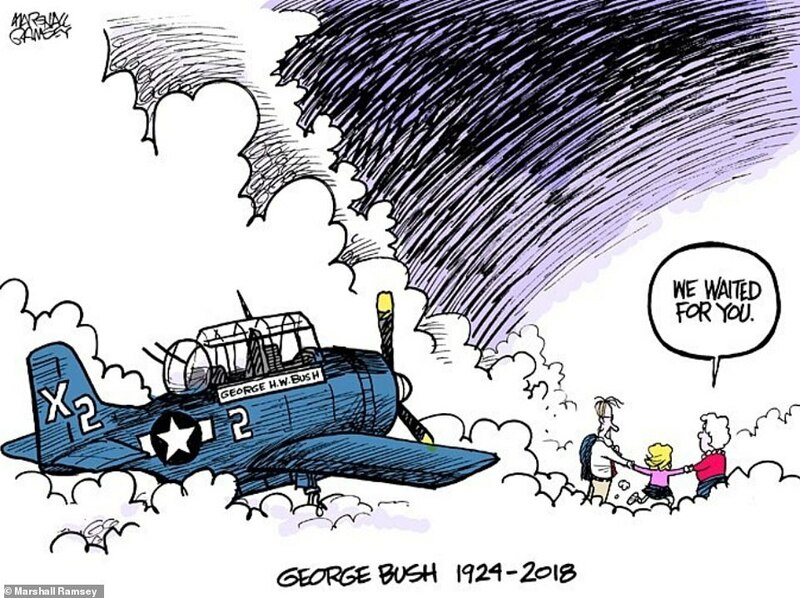 In a second Instagram post she shared a comic published this morning that showed Bush arriving in heaven via a WWII fighter jet and being greeted by his wife of 73 years Barbara, who passed away eight months ago, and the three-year-old daughter they lost to leukemia in 1953. Jenna continued: ‘And I started crying. I managed to choke out, “Well, why? What do you look forward to?” And he said, “Well, when I die I’m going to be reunited with these people that I’ve lost.” And I asked who he hoped to see He replied, ‘I hope I see Robin, and I hope I see [Barbara]. I haven’t yet figured out if it will be Robin as the three-year-old that she was this kind of chubby, vivacious child or if she’ll come as a middle-aged woman, an older woman. 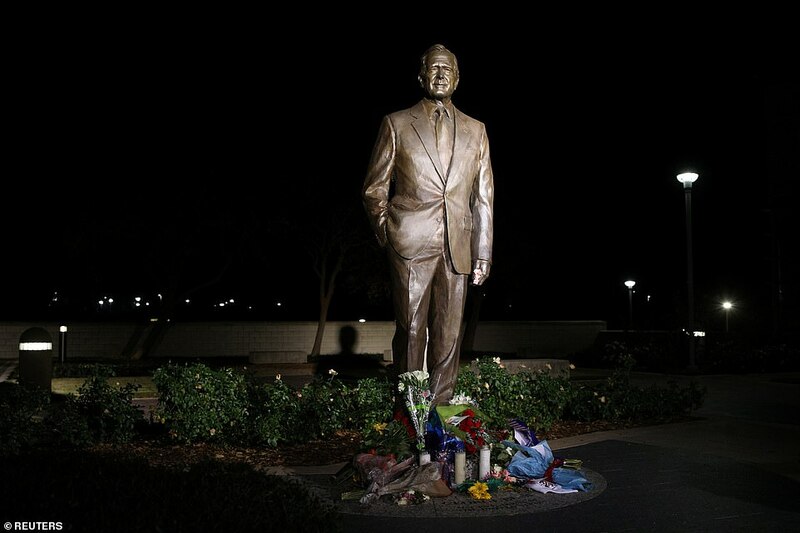 The statement announcing Bush Snr’s passing did not specify the cause of death, but he had long suffered from a form of Parkinson’s disease and had been hospitalized several times for pneumonia and other infections in recent years. 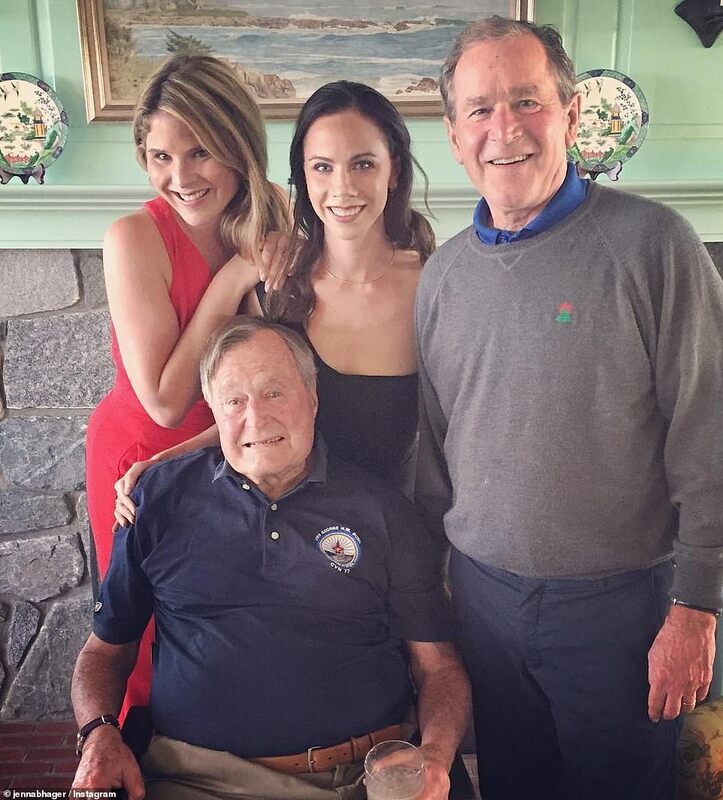 Days before his death, Bush Snr was reportedly being treated for low blood pressure. 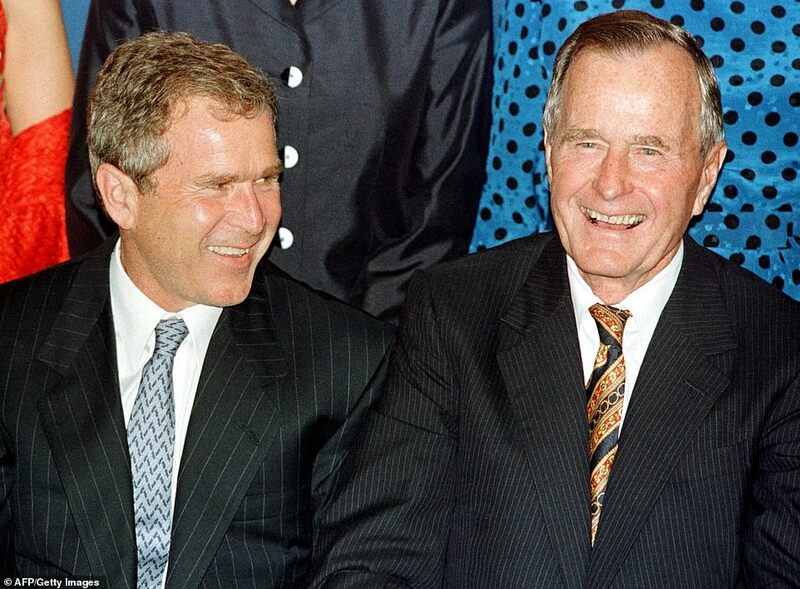 His eldest son George W Bush, the 43rd president, paid tribute to his father and the head of their political dynasty on behalf of his siblings, saying: ‘Jeb, Neil, Marvin, Doro and I are saddened to announce that after 94 remarkable years, our dear Dad has died. 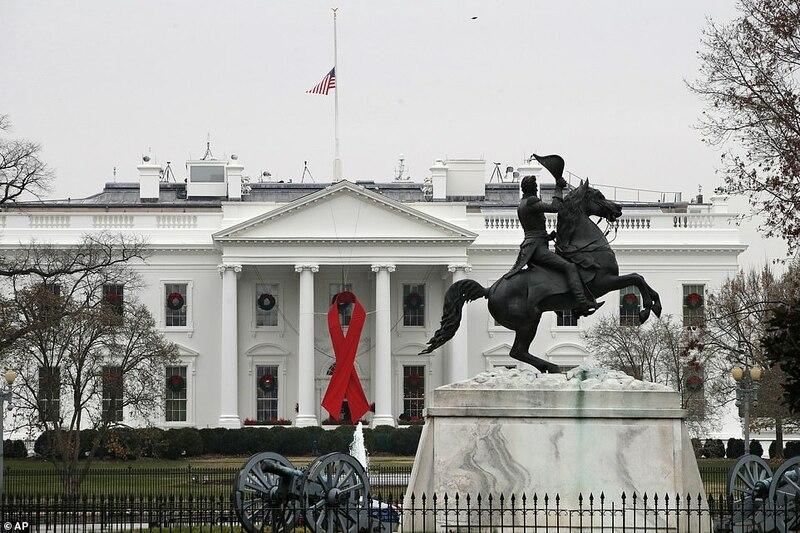 The White House issued a statement on Saturday confirming that the former president will have a state funeral. 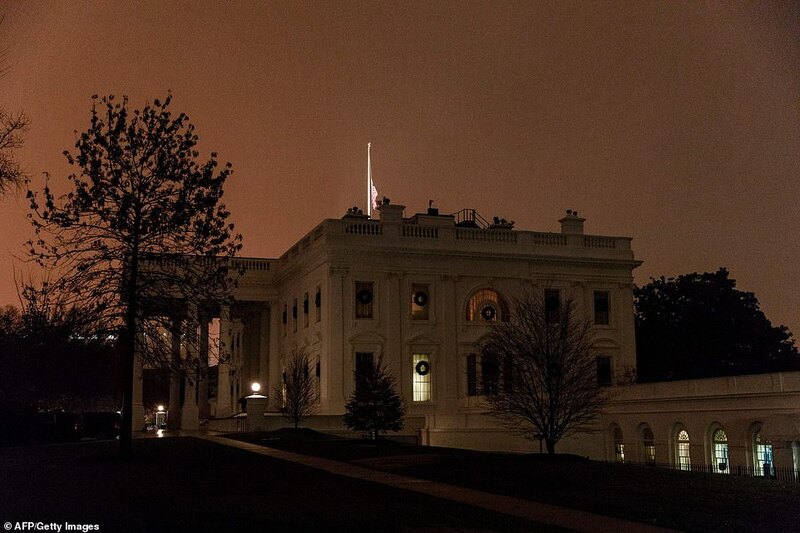 ‘The President and First Lady were notified late last night of President George H.W. Bush’s passing,’ the statement said. ‘President Trump is scheduled to speak with President George W. Bush this morning and offer his condolences on behalf of himself, the First Lady, and the entire country. George H.W. 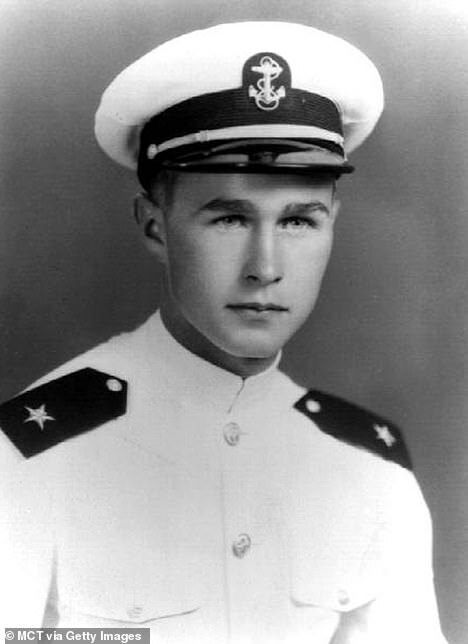 Bush enlisted in the Navy on his 18th birthday in 1942, right out of prep school. 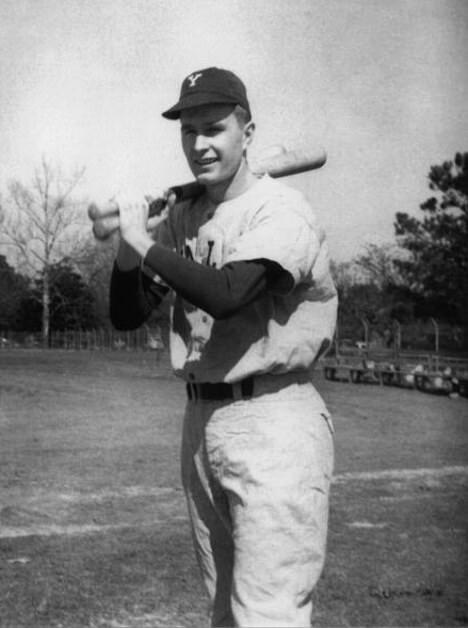 Lean and athletic at 6-foot-2, Bush became a war hero while still a teenager. 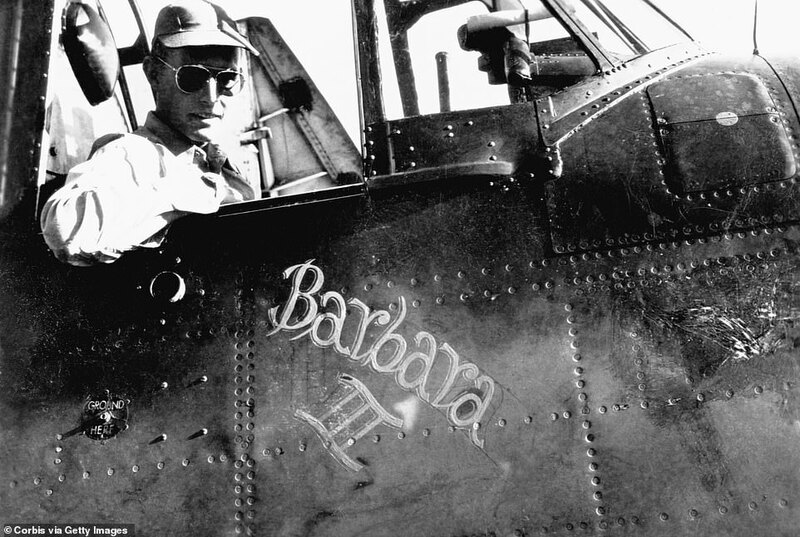 One of the youngest pilots in the Navy, he flew 58 missions off the carrier USS San Jacinto. 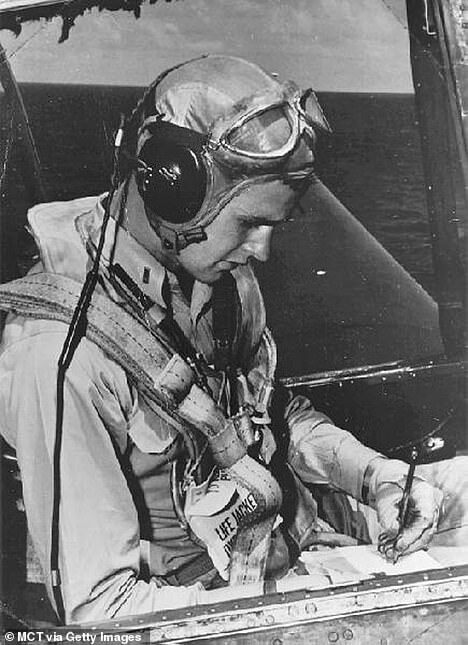 He had to ditch one plane in the Pacific and was shot down on September 2, 1944, while completing a bombing run against a Japanese radio tower. An American submarine rescued Bush. His two crewmates perished. He received the Distinguished Flying Cross for bravery. 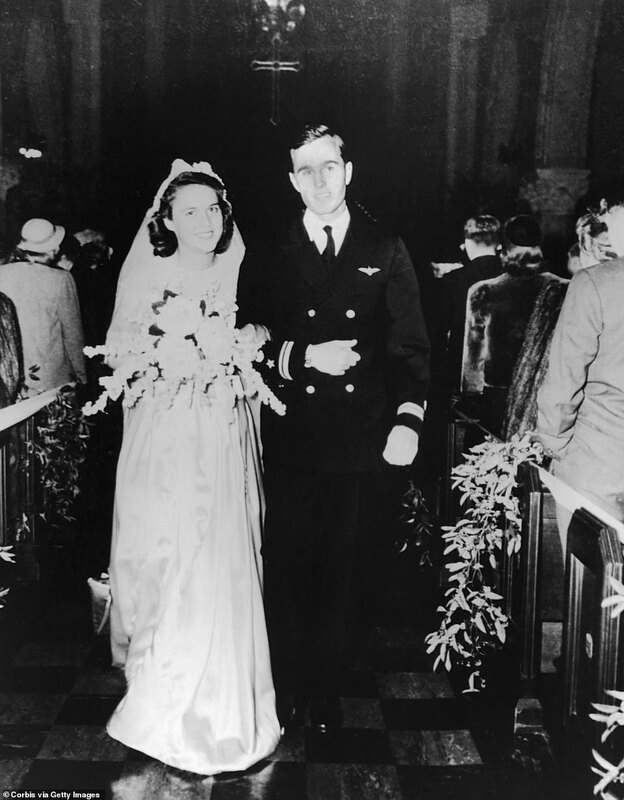 He returned home to marry his 19-year-old sweetheart, Barbara Pierce, daughter of the publisher of McCall’s magazine, in January 1945. They were the longest-married presidential couple in US history. She died on April 17, 2018. 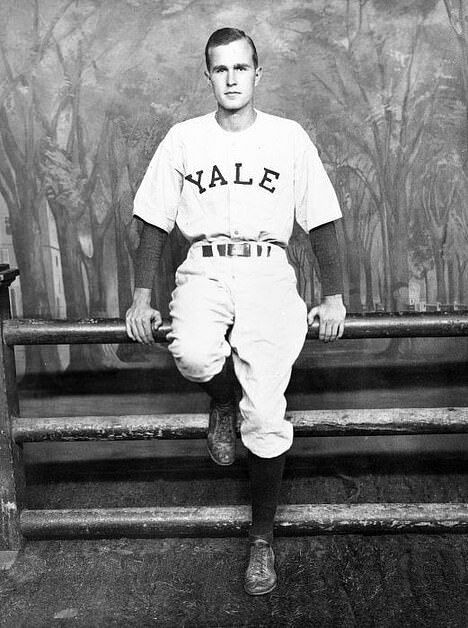 After the war, Bush took just two and a half years to graduate from Yale, then headed west in 1948 to the oil fields of West Texas. Bush and partners helped found Zapata Petroleum Corp. in 1953. Six years later, he moved to Houston and became active in the Republican Party. He was first elected to Congress in 1966 and served two terms. President Richard Nixon appointed him ambassador to the United Nations, and after the 1972 election, named him chairman of the Republican National Committee. 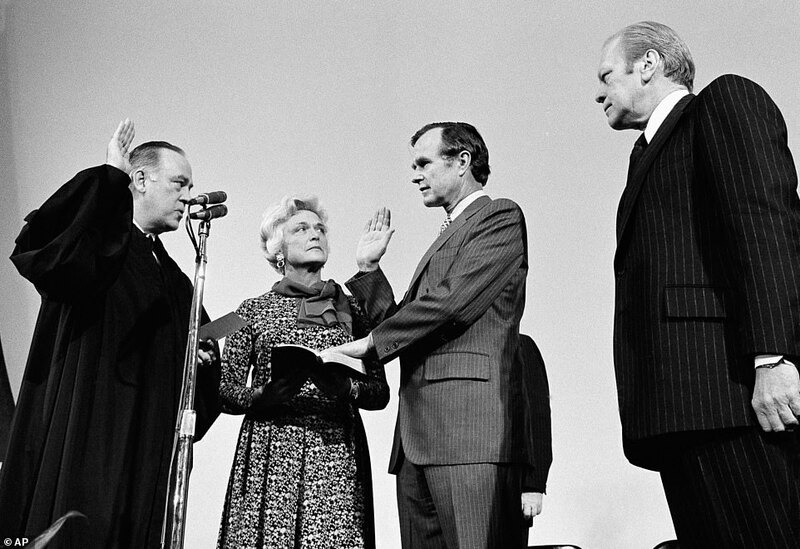 Bush struggled to hold the party together as Watergate destroyed the Nixon presidency, then became ambassador to China and CIA chief in the Ford administration. Bush made his first bid for president in 1980 and won the Iowa caucuses, but Reagan went on to win the nomination, picking Bush to be his running mate. 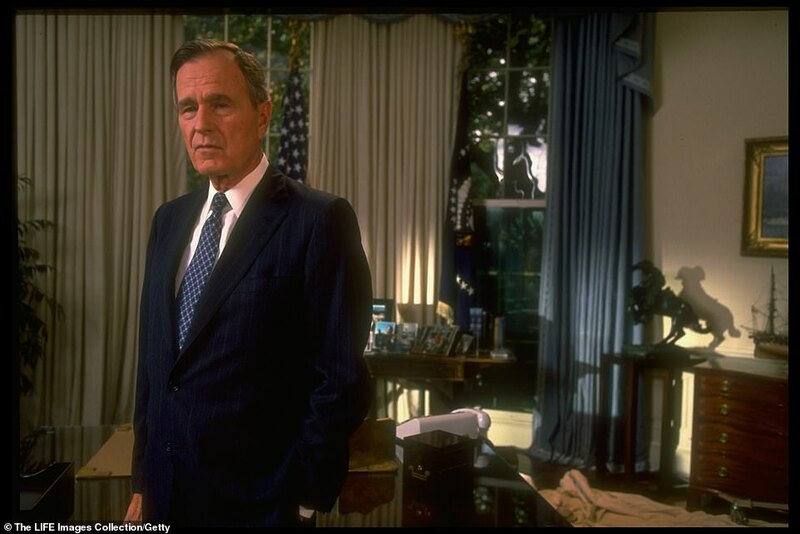 The Iraq crisis of 1990-91 brought out all the skills Bush had honed in a quarter-century of politics and public service, and his popularity gained as a result. 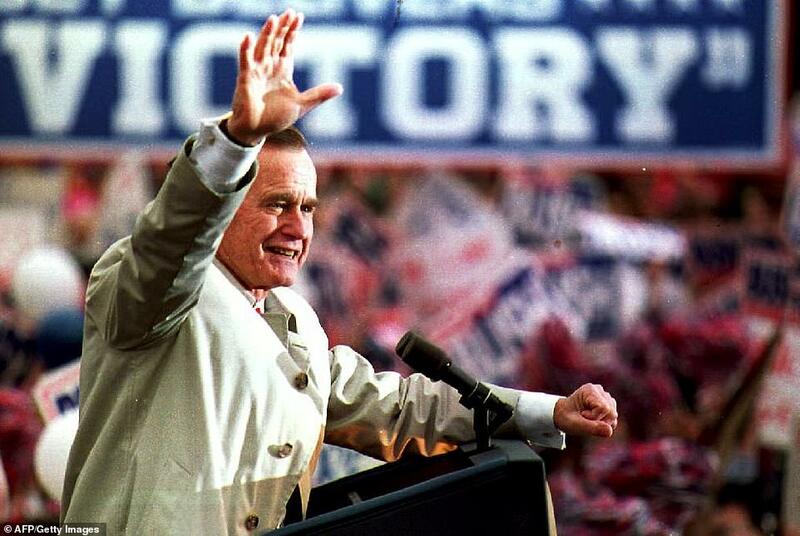 After the Gulf War, Bush basked in the biggest outpouring of patriotism and pride in America’s military since World War II, and his approval ratings soared to nearly 90 percent. The other battles Bush fought as president, including a war on drugs and a crusade to make American children the best educated in the world, were not so decisively won. 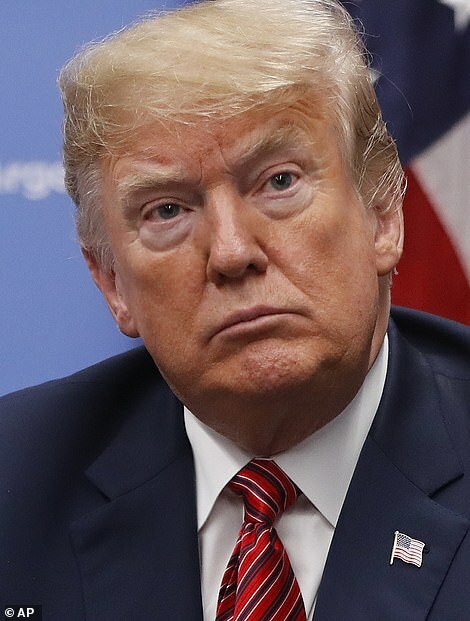 He lost his bid for re-election to Clinton in a campaign in which businessman H. Ross Perot took almost 19 percent of the vote as an independent candidate. Eight years later he would watch his son, George W, be twice elected to the presidency – only the second father-and-son chief executives, following John Adams and John Quincy Adams. 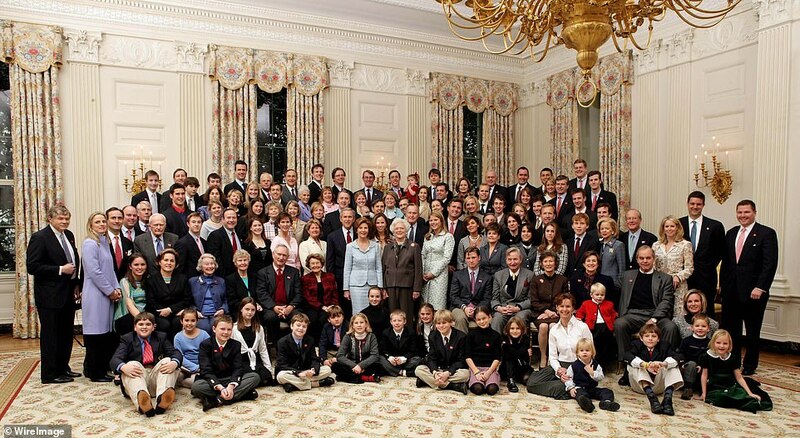 ‘I miscalculated,’ Bush acknowledged. His legacy was dogged for years by doubts about the decision not to remove Saddam Hussein. The Iraqi leader was eventually ousted in 2003, in the war led by Bush’s son that was followed by a long, bloody insurgency. ‘It was with sadness that I learned of the death of President George H.W. Bush last night. President Bush was a great friend and ally of the United Kingdom. He was also a patriot, serving his country with honour and distinction in Office and during the Second World War. ‘President George H.W. 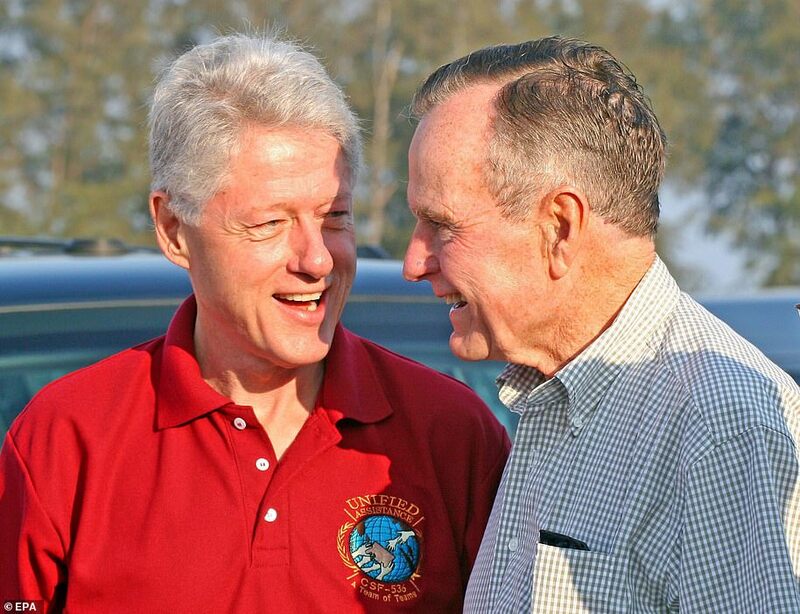 Bush’s ethos of public service was the guiding thread of his life and an example to us all. It took him from service in World War II to his stewardship of the CIA and his direction of the Gulf War as commander-in-chief. 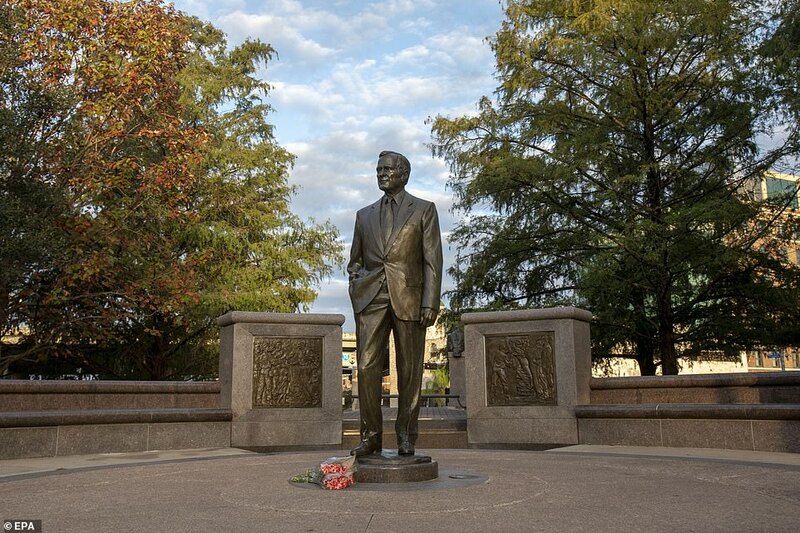 And in navigating a peaceful end to the Cold War, he made the world a safer place for generations to come. 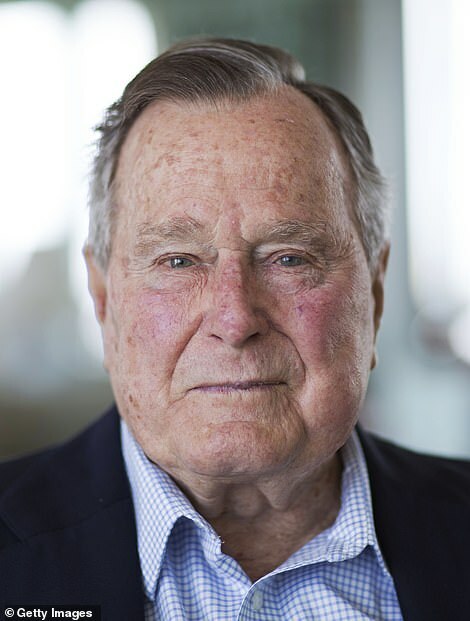 ‘On behalf of the people of Israel, I send heartfelt condolences to the Bush family and the American people on the passing of a great American patriot, President George H.W. Bush. 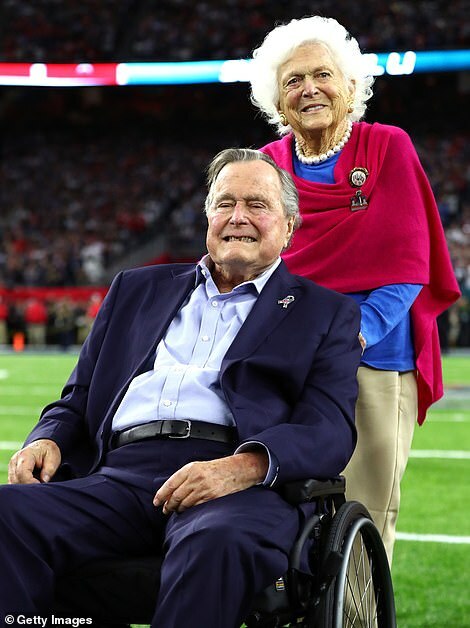 ‘Dear George, please accept my deepest condolences over the passing of your father, former U.S. President, George Herbert Walker Bush. ‘An outstanding politician, he devoted his entire life to serving his country, both as a serviceman during wartime and in high-ranking public posts in peacetime. 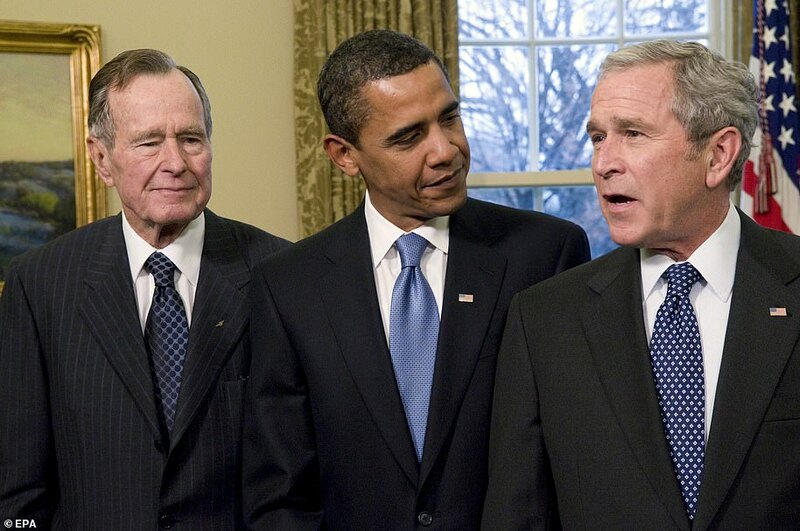 As U.S. president during one of the most important periods of world history, he showed political wisdom and foresight, and always sought balanced decisions even in the most difficult situations. ‘George Bush Sr. was well aware of the importance of a constructive dialogue between the two major nuclear powers and took great efforts to strengthen Russian-American relations and cooperation in international security. I had the good fortune to have met with him several times. 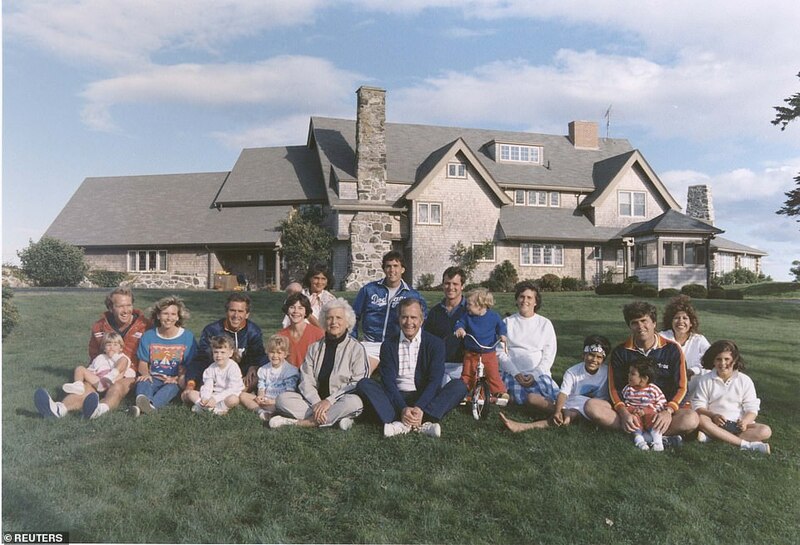 I recall with particular warmth him organizing our meeting at your wonderful summer home in Kennebunkport.